I’m not exactly sure about the percentage, but I assume that 99% of the content is just rewritten. People subscribe to or visit regularly popular and original blogs and once they publish a new post, suddenly the whole world has either copied it to their blog, spinned or rewritten it. Now about the real part, the rewriting part. This is the common practice done by almost all major blogs too. They just rewrite content. So whats the trick to stop them from copying or rewriting your post? Its pretty simple btw! Well this simple technique will not stop them from rewriting it though, but the percentage of rewrites will drop from 100% to 1% or so. The trick to stop others from rewriting your content is simple, to say, but maybe hard to do. Its to write “long” posts. Yeah thats right. 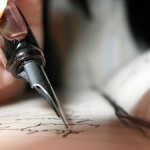 If your post is long, very long, more than 1000 words, there are very less chances that anyone will rewrite it. As the ones who rewrite are looking for easy content to reproduce it. So if you have some quality content to provide to the public, simply write it in detail.